Here we are, presenting the fourth annual KBCULTURE Awards. Where does the time go? The answer to that metaphysical question notwithstanding, after reviewing this year's competition entries, I'd say it's been time well spent on the part of manufacturers. 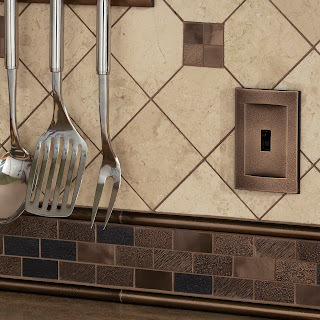 What was once new has become the norm in several areas of kitchen and bath products; look at induction cooking, hands-free faucets, low-flush toilets, and wifi controls for proof that change not only happens, but takes root, as well. I think I spy some embryonic trends among the submissions, but it is time, not me, that will tell that tale. I was delighted to share judging duties with Janice Costa, the editor of Kitchen & Bath Design News, the industry's top trade journal. With a calendar packed with attending Harvard's Joint Center for Housing Studies conference, KBIS, and her pet project, Canine Camp Getaway of NY, she graciously juggled her schedule to share her considerable expertise. Should you be smitten with a particular product, I'd like to point out that some of these items are not yet in showrooms or stores, as they are scheduled for release in the second half of 2013. Remember, patience is a virtue; by the competition's eligibility stipulations, all will be available by year's end. More than 200 variations of shelving units, pantries, drawers, and other storage solutions give this system impressive design versatility. 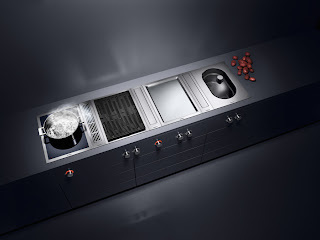 Giving lie to the notion that contemporary kitchens must be monochromatic spaces, storage cubbies, cabinet interiors, and the reveal between cupboards can be rendered in contrasting colors. Ergonomic design and spatial efficiency mark this specialty cabinet, which is available in 30- and 36-inch widths. It's outfitted with adjustable, slide-out chrome storage inserts that organize pans, lids, and more in an accessible, intelligent fashion. 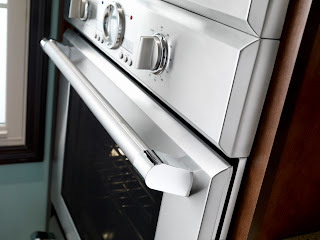 Soufflé fans, take note: This oven has a hydraulic soft-close mechanism that puts an end to both slamming doors or inadvertently leaving them ajar. 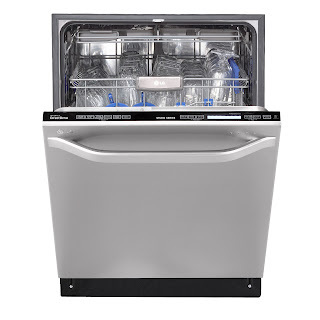 While that feature is unique in the industry, there is more to recommend this appliance on a performance basis. The 12 cooking modes include a Speed Convection setting, which shaves cooking time by 30%. Retooled with a micro-thin edge that allows a flush fit in those au courrant 3mm counters, these modular units are designed for customized cooking. Install a steamer here, a teppan yaki griddle there, a deep fryer where you want it; the 15-inch appliances open up a world of floor-plan opportunities. 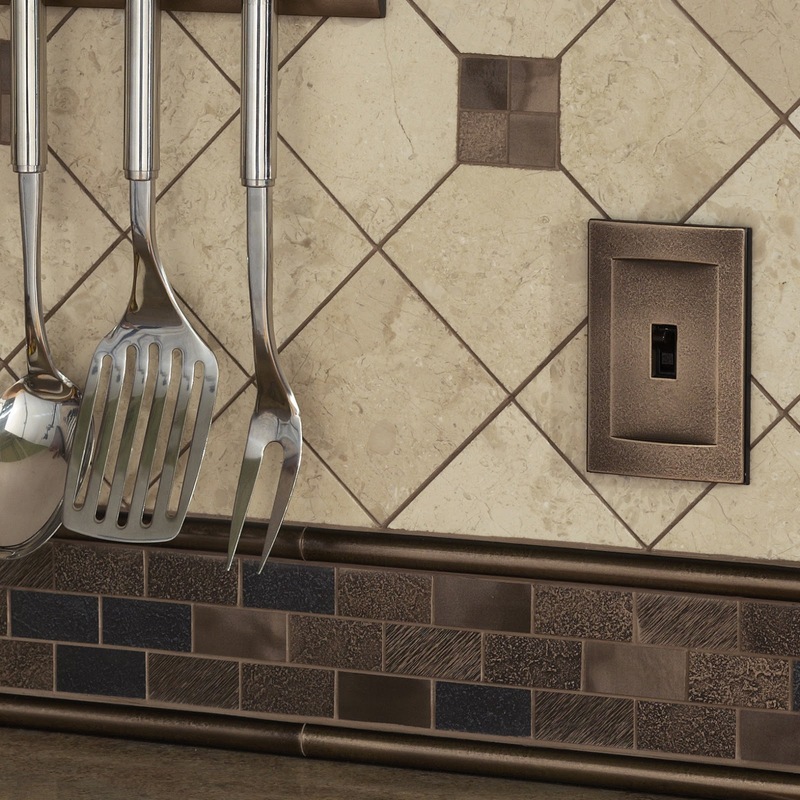 Control knobs can be mounted on the front of the cabinet, preserving the clean lines of the kitchen's work surfaces. 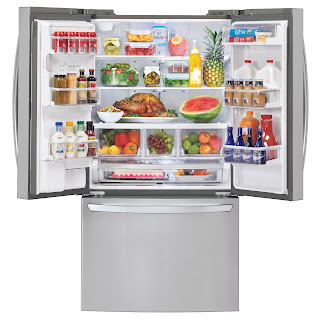 To quantify the colorfully vernacular name of this fridge, it has a capacity of 33 cubic feet. 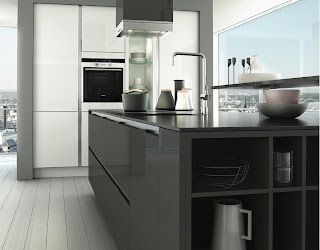 This spaciousness is due to some forward-thinking design, including the use of vacuum insulation panels [a slimmer, more efficient form of insulation] and relocating the ice maker to the door. Another innovative tech component is the linear compressor, which is a compact, oil-free, and continuously-operating alternative to the conventional compressor. 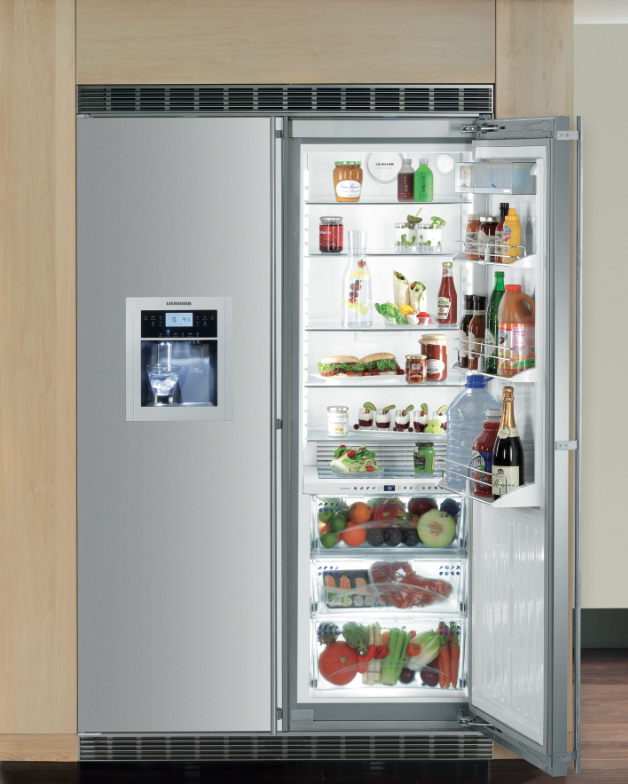 A patented temperature and humidity control system [the manufacturer has named it 'BioFresh Plus'] dramatically optimizes the preservation of fresh food. 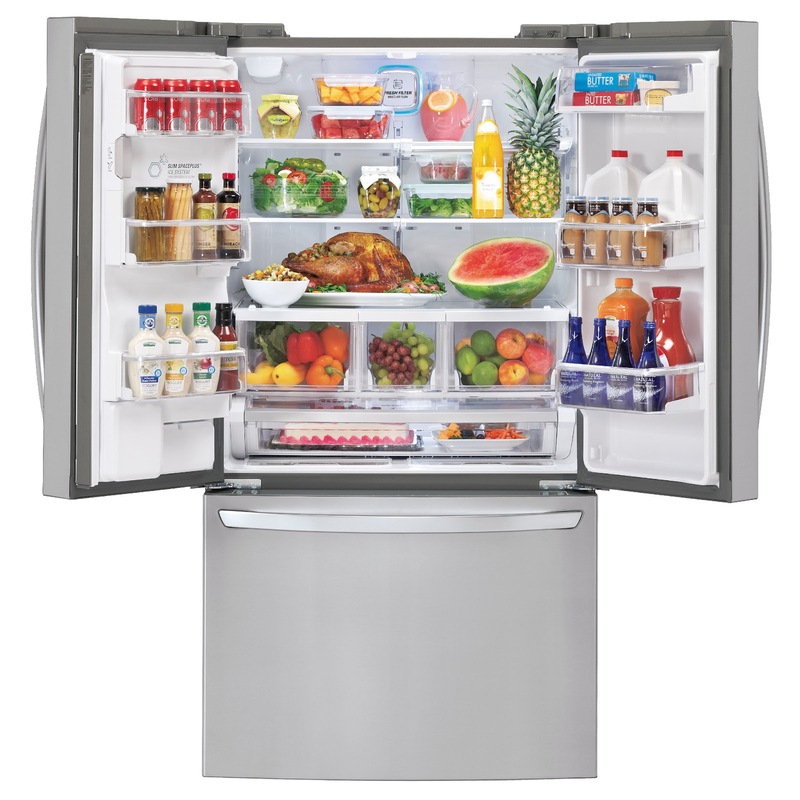 Three large compartments can be independently chilled from 28ºF to 48ºF; as an example of the system's performance, when stored under these conditions, carrots and broccoli can last up to 80 days. French-door fridges are a popular solution for tight kitchen spaces, as the amount of clearance needed for the door-swing is effectively half that of a single-door model. This appliance addresses the issue of keeping the interior of the cabinet cold when one door is open with an independent seal design. 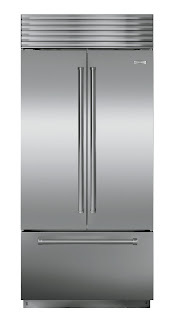 It is available with either stainless steel doors or ready for custom panels. By using preheated water, this machine can whip through a full-wash cycle in a mere 20 minutes—an invaluable asset if you're short of dishes and need to restock the buffet or holiday table. Keep tabs on the progress of that fast-track wash by looking down; an illuminated digital countdown clock is projected on the floor near the base of the appliance. 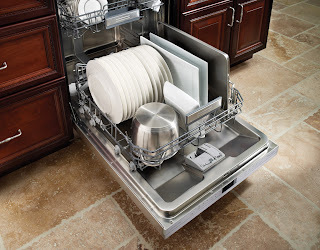 A network of nozzles directs jets of pressurized steam onto the contents of this dishwasher, in a water-saving alternative to pre-washing. A smartphone-enabled troubleshooting feature allows the appliance to analyze its performance, and suggest remedies to simple maintenance issues. 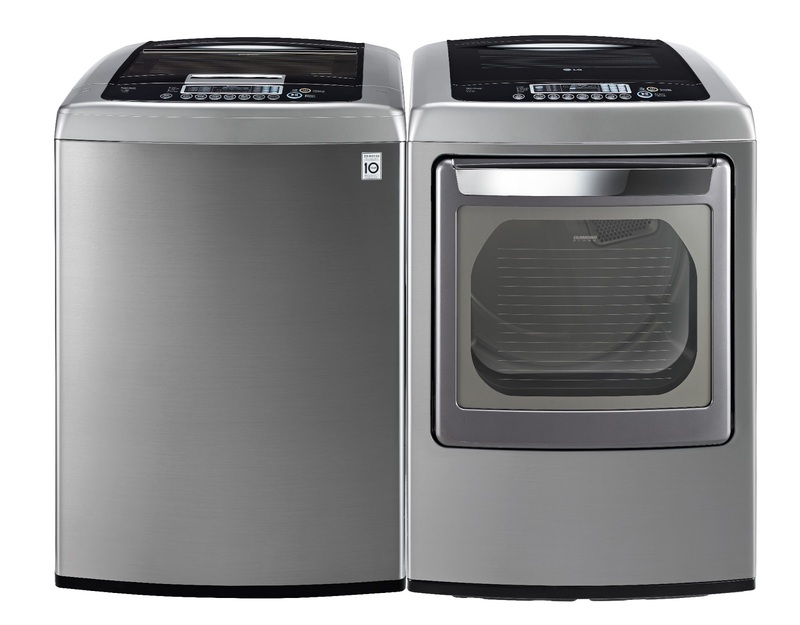 Refinements both high-tech and mechanical make this a formidable laundry pair. 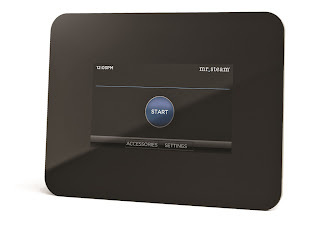 A package of smart features, including remote control via wifi or cellphone, comprise the ThinQ technology. 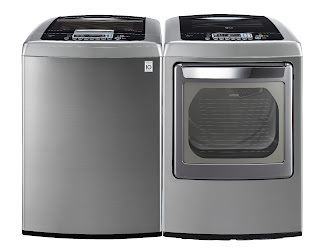 The conventional belt-driven motor has been replaced with an efficient direct-drive unit that's connected to the washer's drum, spinning it faster and more quietly. This is the first top-loading washer to offer a steam-cleaning option, and it can be incorporated into any cycle. Moving the touch-pad control panel to the front edge of this appliance cleans up the profile of the appliance in a way that responds to its top-loading design; there's no longer any need to close the lid to adjust the settings. And more about that lid: a soft-close hinge cushions the glass panel, so there's no chance of it accidentally slamming shut. 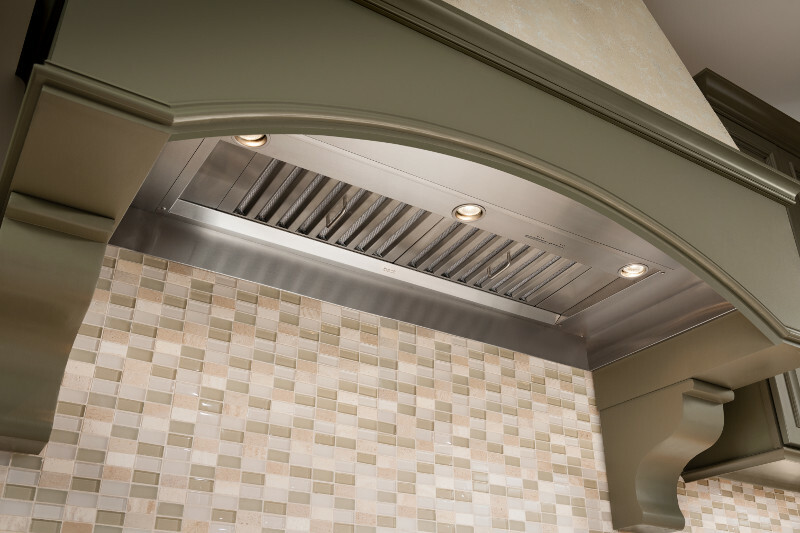 Look how this hood fits so well into a stretch of horizontal hanging cabinets: it's been designed and dimensioned to fill that gap in a way that's far superior to the incongruous shapes of ordinary wall-mount or chimney-style models. Adaptable for island or wall-mount installations, the 70CC collects vapors on three of its sides, using either a perimeter- or direct-capture method. This new blower system automatically helps ensure that kitchen ventilation is performing at peak levels. 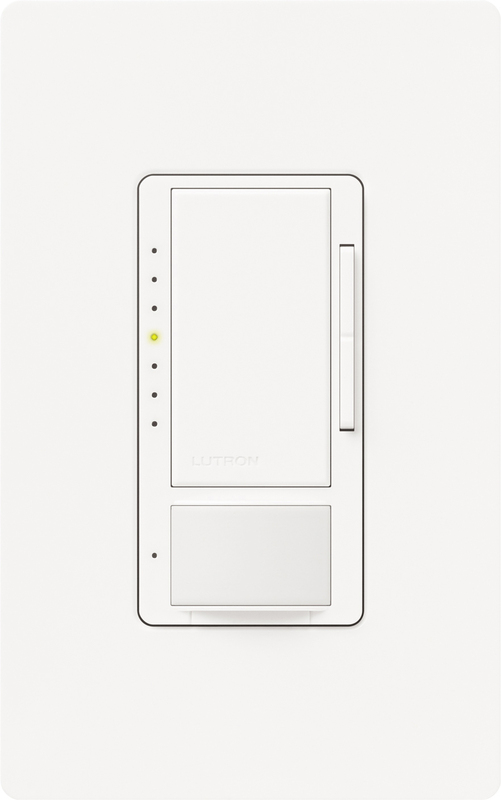 A press of a button and the unit analyzes airflow in the duct lines; if any blockages are detected, an indicator light flashes, alerting the installer to the problem before he leaves the jobsite. 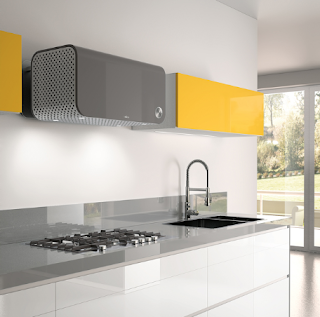 Once corrected, the hood can be calibrated to operate at the optimal CFM for the unique conditions of the home. A pass of your hand—or pot or pan—under the spout starts the flow of water from this truly touchless tap. [That's the end of the jazz-hands routine at the sink!] Magnets keep the pull-down spray head securely in place. 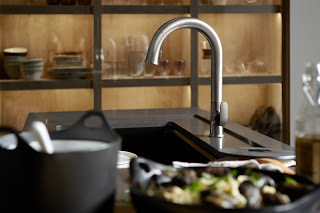 The faucet's hard-wired, AC power source has a manual override, which keeps the fitting operable during power outages. Created by Sieger Design, this faucet catches the eye with its subtle, out-of-the-ordinary geometry. 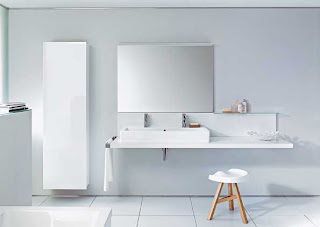 Behind its striking appearance is an energy-conscious feature: the flag-like handle is set to a cold-water setting in its off position, a little trick that automatically reduces hot water consumption. This fitting combines carbon filtration with ultraviolet light and ozone treatments, making it a smart choice for consumers looking for clean drinking water. 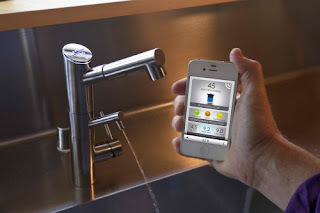 The intelligence extends to the triflow faucet's app, which lets users stay informed about their local water supplies, household and personal hydration habits, and more. 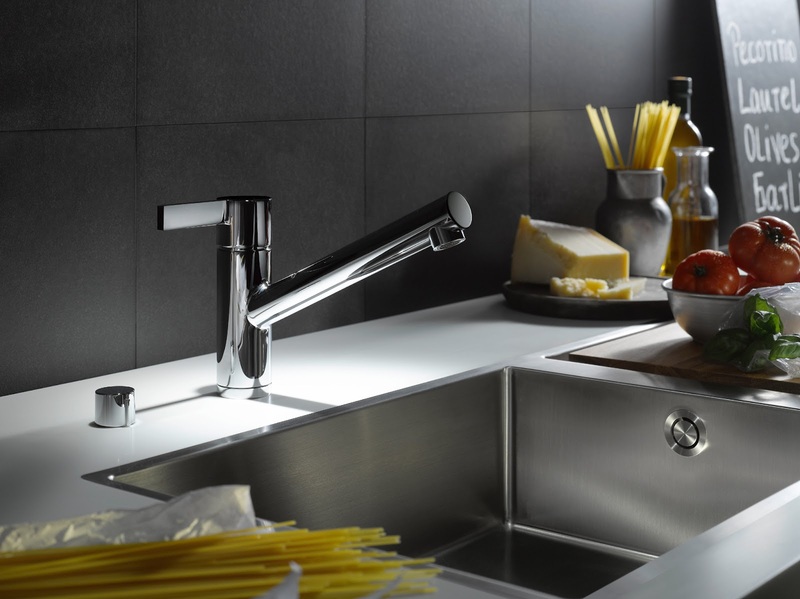 While not steel, this sink nonetheless proves its mettle in a busy kitchen. Made of an abuse-proof granite/polymer material, it comes in white and two shades of grey. 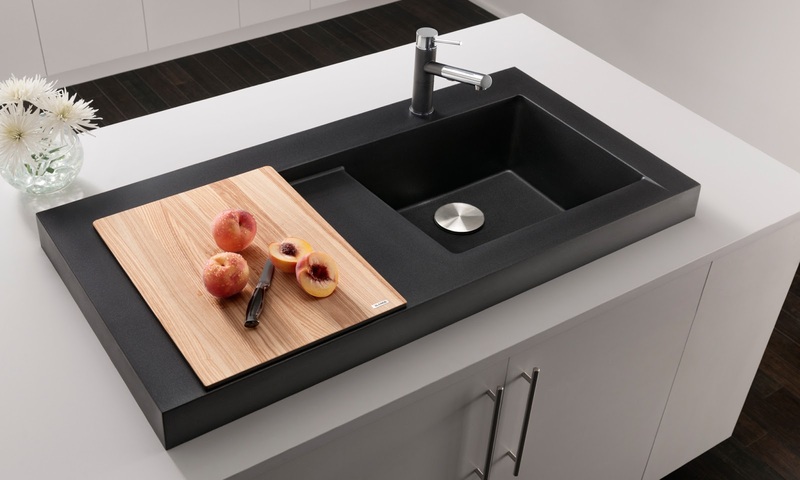 Rising three inches above the counter, the sink stakes out a work zone that spans clean-up and prep tasks by virtue of its integral, self-draining drip tray and ash-wood cutting board. A conduit for bringing both color and texture to the bath, this asymmetric basin is crafted from rough, quarried lava stone. Its interior [including the drain cover] is enameled in any of 16 shades, ranging from rich jewel tones to muted neutrals. Matte and glossy finishes are available. 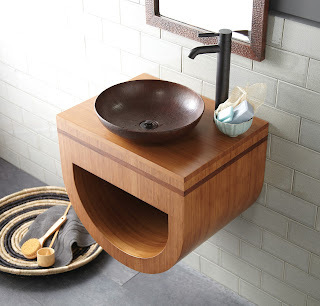 A humble material—bamboo—meets high style in this compact vanity. Thought has been given to practicalities as well as appearance in its design. The open shelf not only holds towels, but also provides an access portal for the plumbing. And a french cleat [typically used to hang paintings] makes installation a literal snap. It's all about the edge in this collection of contemporary bath furniture. 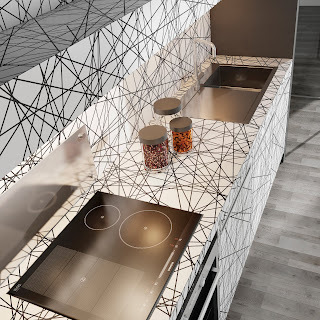 The pieces fit seamlessly with one another, forming a tight composition: the cantilevered counter supports a glass backsplash and shelf, which is topped by a mirror that's capped with a brilliant LED fixture. 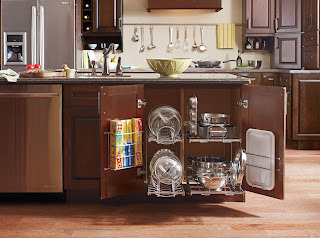 Cabinets forgo handles in favor of concealed push latches. The line is designed by EOOS, and is offered in glossy white, dark walnut, and light oak woods. 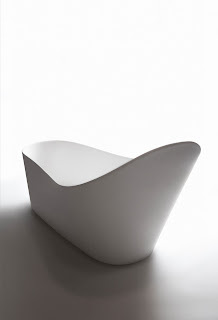 Just looking at the flowing form of this 72-inch tub, designed by Ludovica+Roberto Palomba, is cause for relaxation. 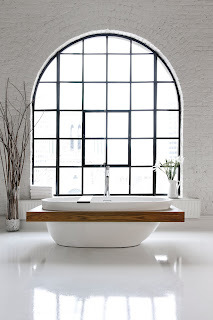 Maintenance is worry-free as well, as its cast, solid-surfacing body is impervious to staining and calcium deposits. 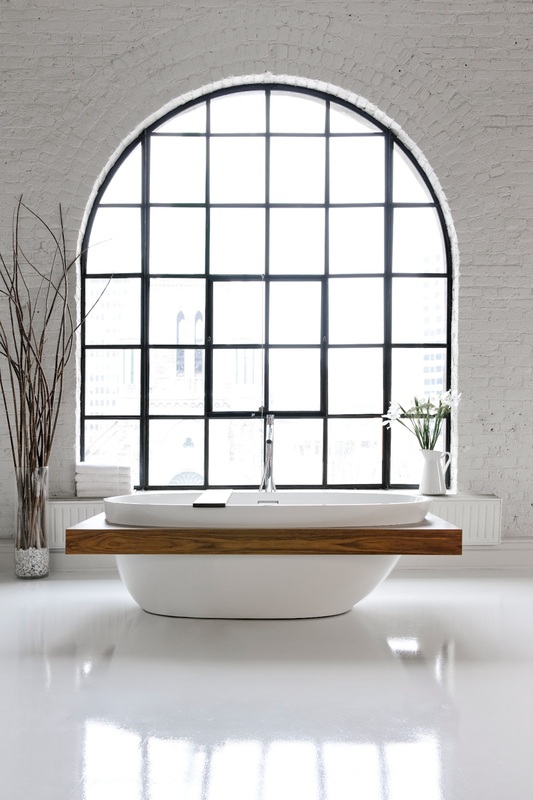 Sometimes freestanding tubs can be a little too freestanding; with their thin rims, they can pose a challenge for bathers who appreciate a bit of stability when getting into or out of the tub. The wooden surround of the Be tub not only supplies that support, but also acts as a handy spot to store bath accessories and essentials. 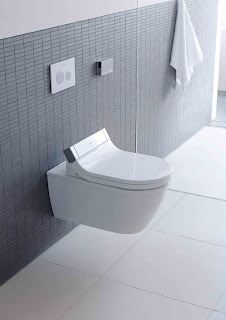 The updated version of this shower toilet focuses on the unseen. Water lines and electrical connections have been concealed within the unit, freeing the form [designed by Philippe Starck] from extraneous conduits and exposed outlets. The washing and warming functions of the seat are regulated by newly-miniaturized components that are also out of sight. 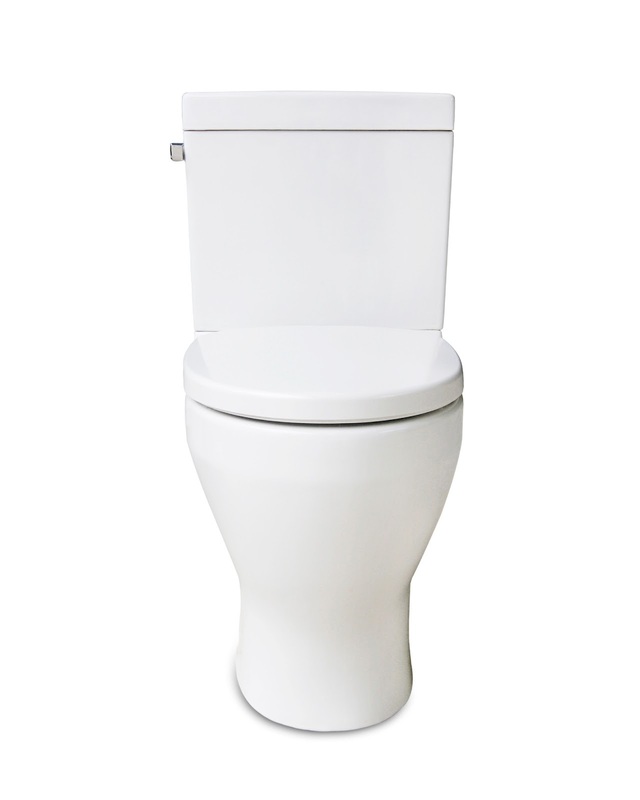 Eco-friendly, elegant appearance, easy to clean—all solid credentials to recommend this commode. 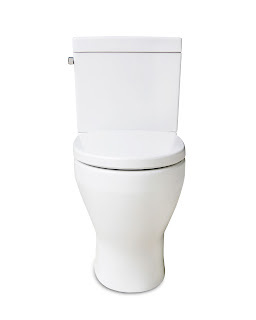 Needing just one gallon of water per flush, the gravity-fed toilet has a pleasing, understated look, owing to its skirted design. Inside the bowl, a large water spot and anti-microbial glaze help keep things tidy. 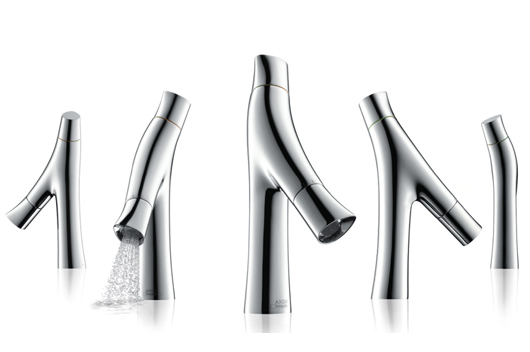 The fluid form is certainly pleasing to the eye, but designer Phillipe Starck figuratively pushes the user upstream when it comes to this faucet's functionality. Reversing the normal operations, temperature is set at the top of the fitting, with the flow [either 1GPM or 1.5GPM] controlled at the opposite end. It's a subtle—or subversive?—way to minimize wasting water. A swipe and a tap on the screen of this sleek, moisture-proof control pad is all that's needed to select the settings for a customized steam shower experience. The 4.3-inch liquid crystal display screen is a mere 1/8-inch thick, sitting nearly flush with the wall when installed. Available in black or white, the unit was designed by David Farrage, whose experience with Movado and Lamborghini is evident in iSteam's contemporary styling. 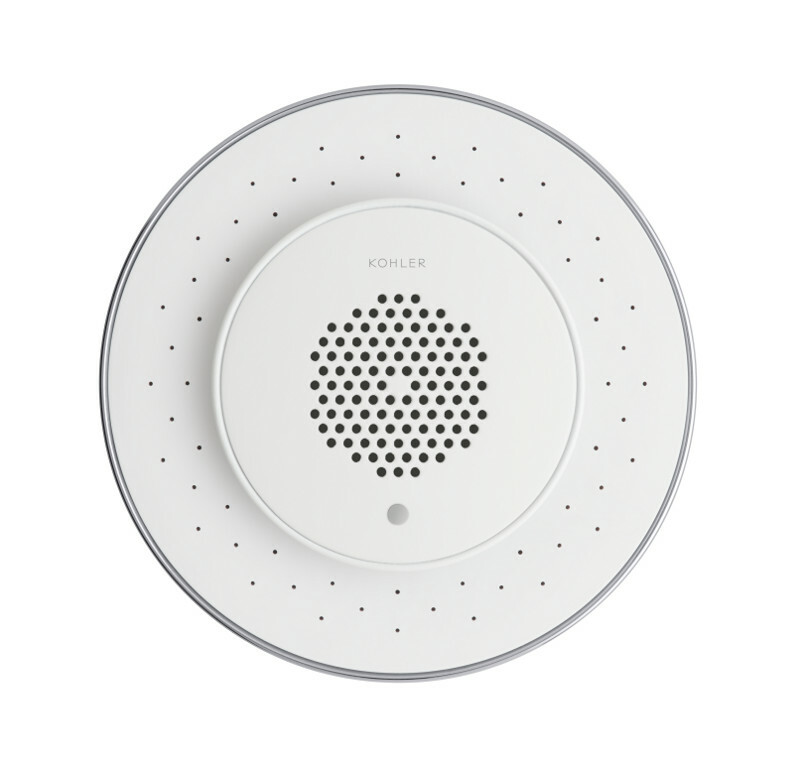 Ready to sync with mp3 players, smartphones, or any Bluetooth-enabled device, this showerhead-speaker combo isn't limited to the bath. The central speaker-cone can be removed and used wherever you want to hear your tunes. 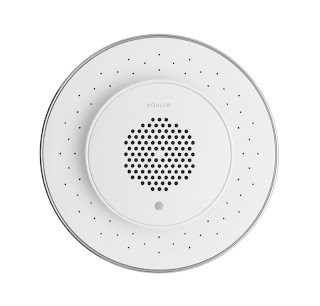 Installation is no different than a standard fitting; the speaker recharges with the included USB cable. Fueled by either natural gas or liquid propane, this three-foot-diameter fire bowl takes the chill off alfresco entertaining. 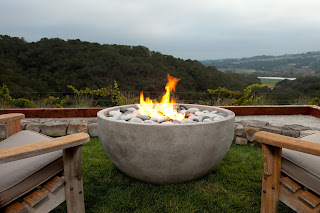 Offered in several colors, the Infinite model is made of glass-reinforced concrete. When not in use, a hardwood top transforms the piece into a table. While the aroma of barbecued foods is a near-universal olfactory siren, the same can't be said for the smoke that's a byproduct of grilling. 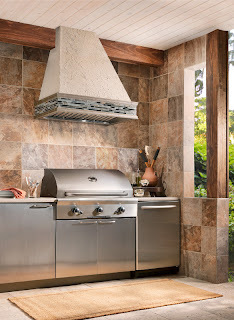 In outdoor kitchens that are semi-enclosed, it can be a particular irritant. This stainless-steel ventilation unit is engineered to withstand the rigors of year-round use. The numbers tell the story: A capture area up to 60 inches in length and 22.5 inches deep conceals a 1,200 CFM blower that dispatches acrid clouds with ease. In its commemorative centennial collections, Formica gives a nod to its pattern-filled past, but with a twist that shows off the latest in printing techniques. 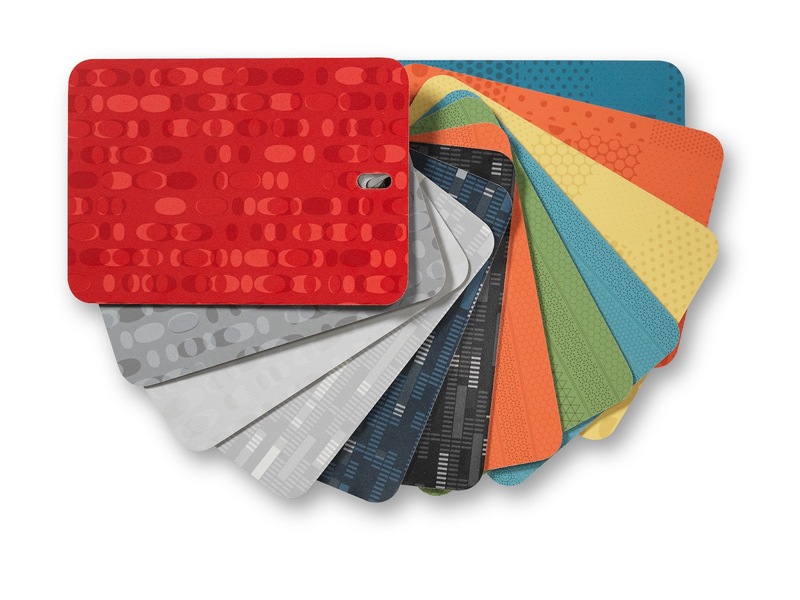 Design firm Pentagram developed 12 patterns; one of them, 'Elipse', is a graphic riff on the Formica logo. The shape is manipulated into a pattern that repeats not in the typical 50 inches, but in over a mile. Suitable for such heavy-duty use as counters furniture, and partitions, Stratificato high-pressure laminate can be customized with any surface design through digital printing. Because it's fired at extremely high temperatures [in excess of 2000ºF], most porcelain tile has a matte finish. 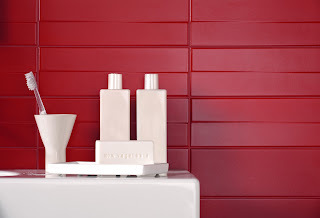 What gives the Absolute collection its ultra-glossy look is a top layer of silicate that can be polished to a smooth-as-glass finish, without compromising the tile's strength or porosity. It's available in six colors in sizes up to 18x38. 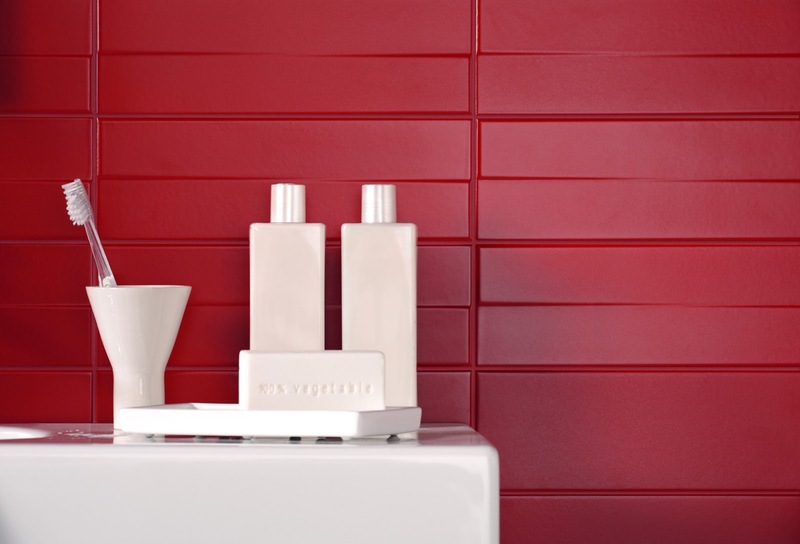 With their gently angled surface and sophisticated palette of 15 satin-finished colors, these architecturally inspired tiles make bland bathrooms and boring kitchen backsplashes things of the past. Set the 4x12 tiles vertically or horizontally—no rules! 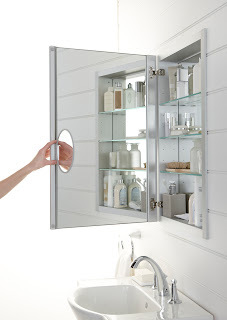 An integral magnifying mirror glides up or down the edge of the door of this medicine cabinet, swinging outward as needed; it folds flat against the inside of the door when not in use. An optional open shelf can attach to the bottom of the surface-mounted, aluminum cabinet, providing quick access to frequently used items. Technology that seamlessly improves life, without inflicting a learning curve on its users? Yes, please. That's accomplished in the latest iteration of the Maestro collection of light controls. This motion-sensitive model turns the lights on when a person enters a room only if it detects a low level of ambient daylight in the space. Bright, energy-saving idea! Famed for her bold, curvaceous pottery and tableware, the late Eva Zeisel designed this graceful light fixture true to her style. 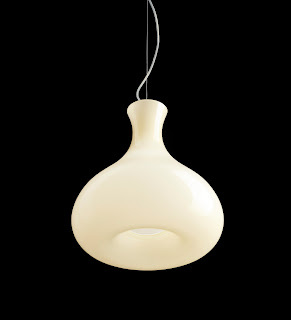 Luminous in a white or honey-colored glass, the shade would add an artistic pedigree to a modern kitchen—or bath, for that matter, in the coordinating sconce model. For the aesthetically obsessive, even the smallest of details can make a big difference. 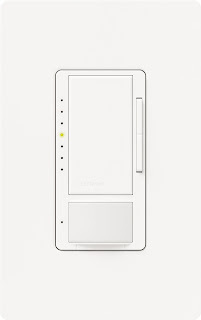 Case in point: the common light switch and its all-too-visible, infallibly ugly silver screw heads. These ingenious plates camouflage the fasteners beneath a magnetic cover. They are offered in a variety of metals and decorative patterns. 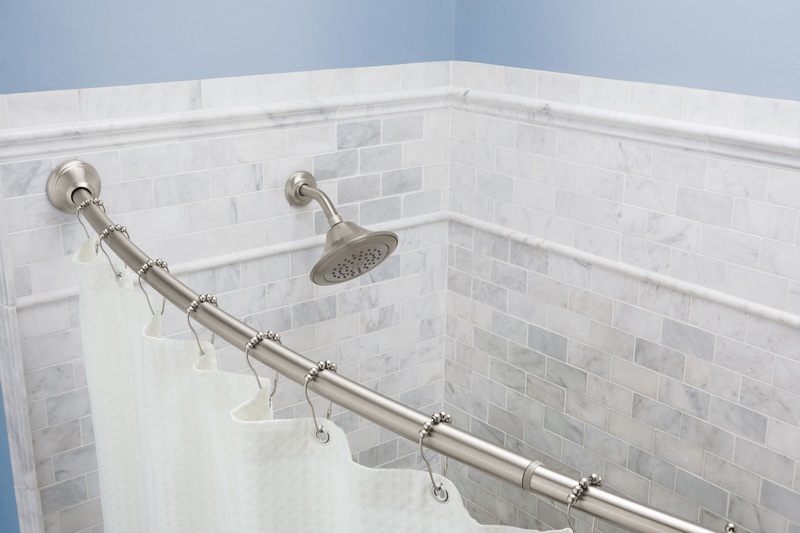 Curved shower rods aren't news, but this model merits attention because of its innovative, tool-free installation process. Simple tension holds it in place; no holes are drilled into tile or walls. 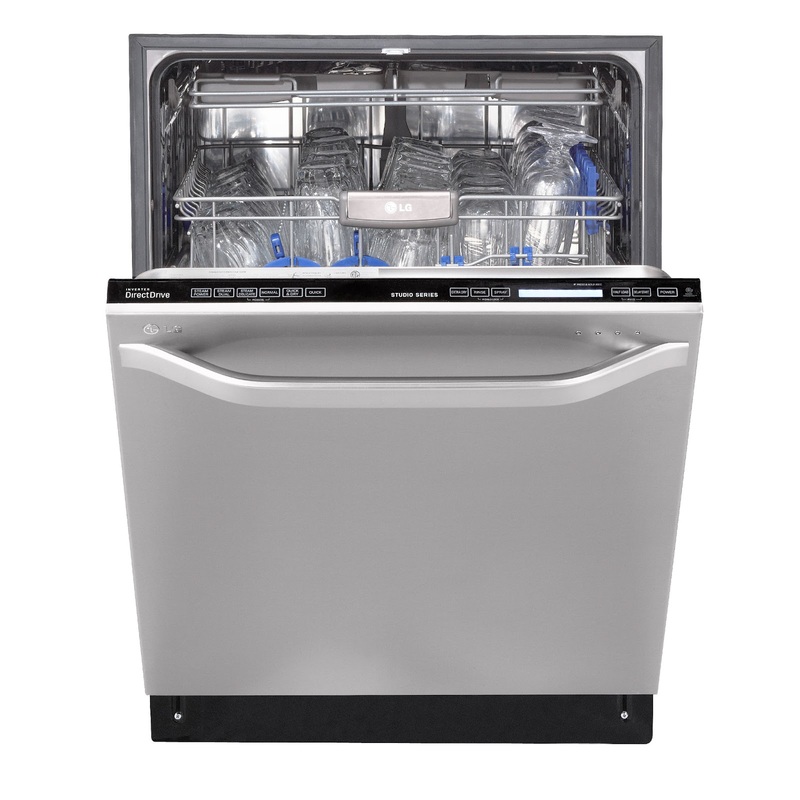 Adjustable from 57 to 60 inches, the stainless steel rod comes in three finishes.